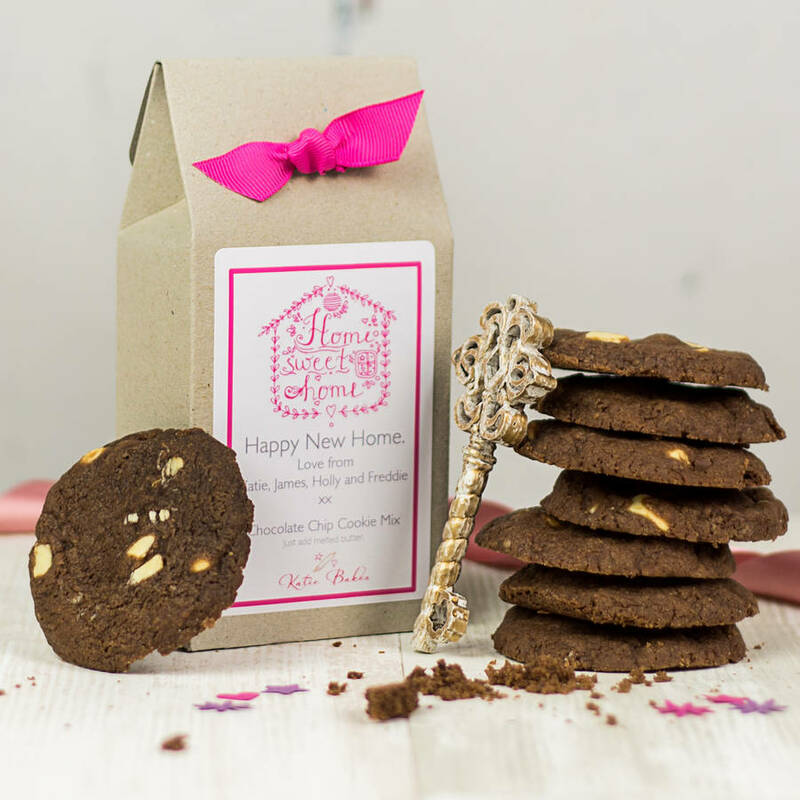 A unique, personalised gift box containing a delicious cookie mix for the recipient to bake in their new home. Rather than sending a New Home card and gift, why not send a cookie mix gift with your message on the box. 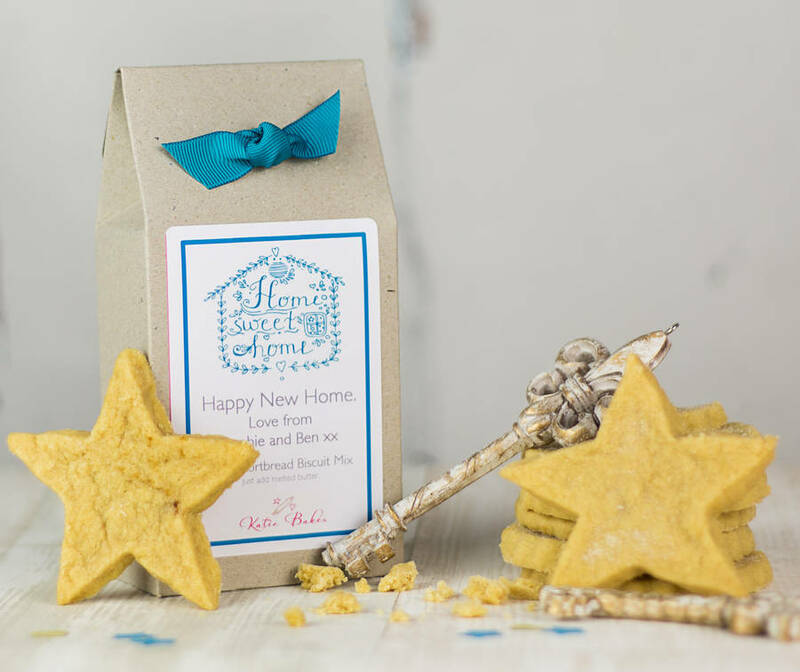 These foolproof cookie mixes, which produce delicious results, are packaged in a personalised gift box with a "Home Sweet Home" themed label. They make a lovely gift to welcome someone to their new home. 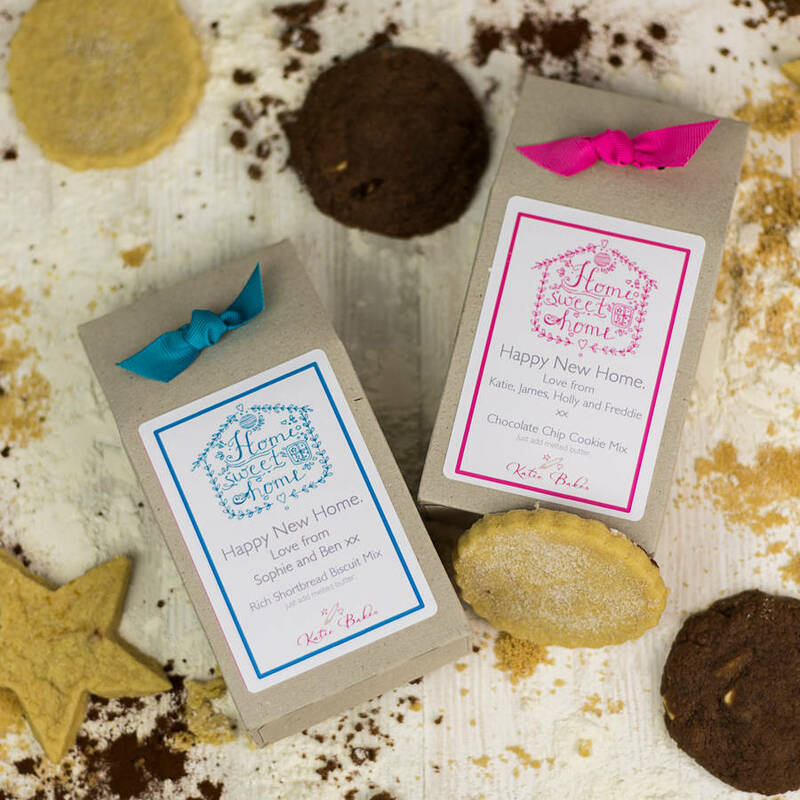 The cookie mixes are presented in stylish, eco friendly boxes, which can be personalised with any message. The boxes are then finished with a colour coordinated, hand tied ribbon decoration. We offer the label in a choice of pink or teal with a matching ribbon. If you would like to order multiple boxes please add your basket as separate items. Please note, you will only be charged once for delivery.